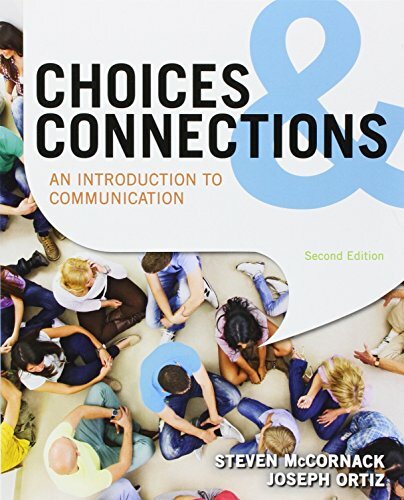 1319043526 -Based on decades of teaching experience combined with the latest in research and communication theory, Steve McCornack and Joseph Ortiz’s Choices & Connections, 2e helps students to transform their lives and become more adaptive and versatile communicators. With a focus on the connections that underlie all communication choices—and that the outcomes students experience are deeply connected to the communication choices they make—Choices & Connections, 2e weaves together major communication contexts so that students’ understanding becomes cohesive. Captivating students from page one, the text is highlighted by built-in study tools, innovative video case study activities, and a variety of news, pop culture, and real-life examples—all of which encourage students to apply what they learn to their own their daily communication experiences.